The Magnum is the heavy weight champion of our paddles, tipping the scales at around 4 pounds. A solid chunk of metal, topped with a layer of palladium coating, houses all mechanical elements. 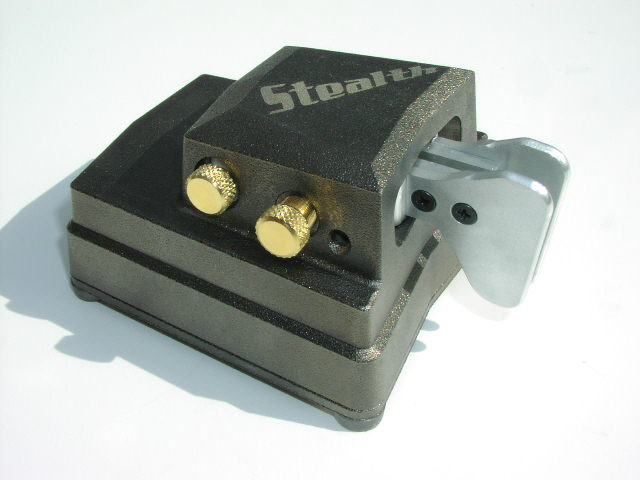 The Stealth combines a rugged professional finish with unsurpassed performance. Base and bearing block are made from a single block of heavy cast metal with a palladium finish, and all components are encapsulated and protected. 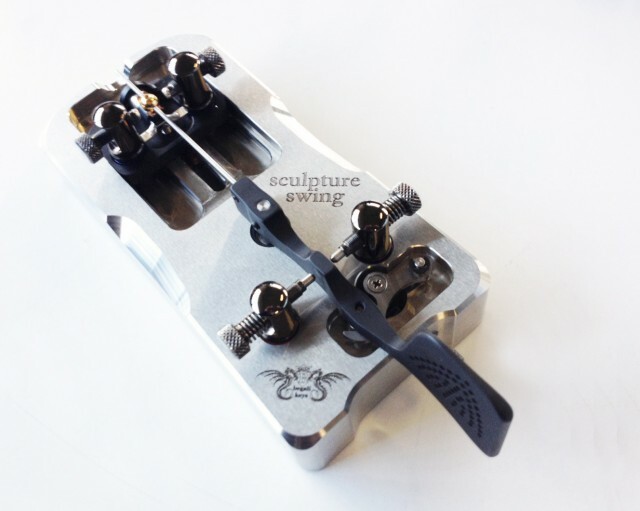 The Sculpture Swing is a no-compromise cootie key (sideswiper) and, like its siblings in the growing Sculpture line of paddles, it was designed to represent the ultimate key of its type, combining materials and state-of-the art techniques that set it apart from anything else on the market. 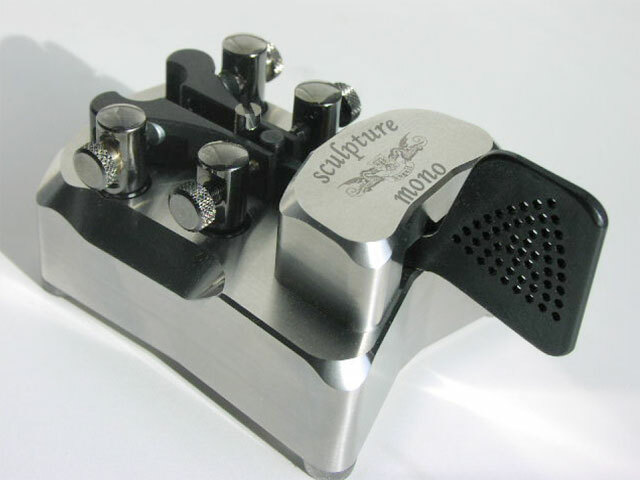 The Sculpture Mono, like its famous sibling, the Sculpture dual lever key, was designed to represent the ultimate key of its type, combining materials and state-of-the art techniques that set it apart from anything else on the market. The design of semi-automatic keys has changed very little since Horace Martin sold his first "bug" more than a hundred years ago. The Intrepid, however, introduces a distinct new architecture that breaks this mould. 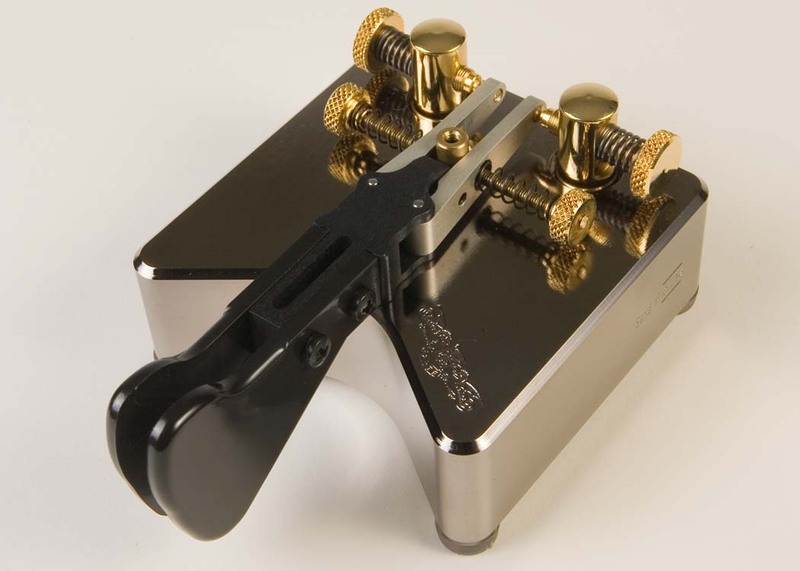 The Leonessa is high speed key with a totally unique design: a dual-lever paddle with narrowly spaced finger pieces that can be converted into a dual-action single lever key with a few turns of an adjustment screw. 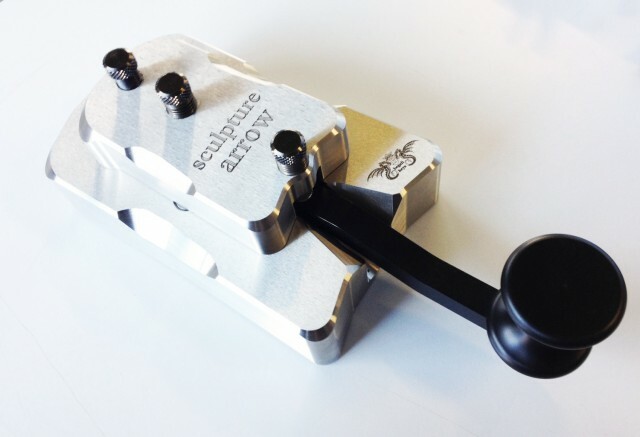 The Sculpture Arrow straight key, like its siblings in the growing Sculpture line of paddles, was designed to represent the ultimate key of its type, combining materials and state-of-the art techniques that set it apart from anything else on the market. The Sculpture key combines the most desirable elements of the very best paddles in the world and adds some exclusive features of its own. 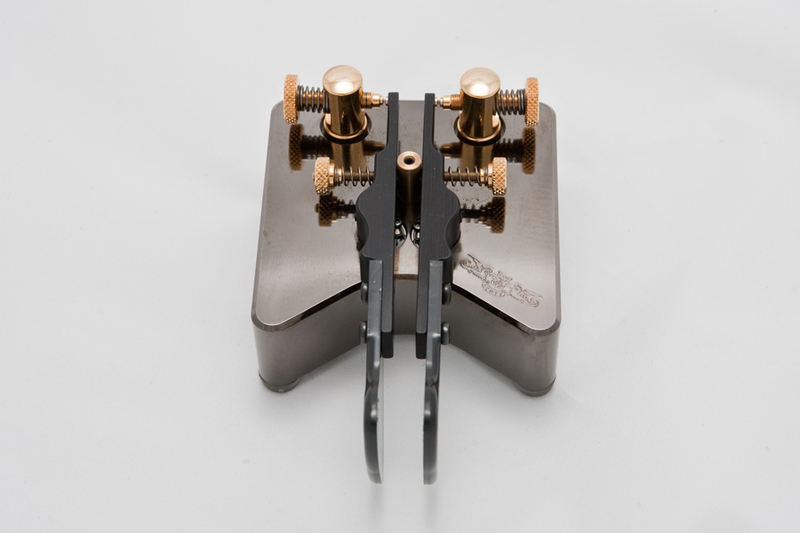 The Graciella vertical key was designed to be the ultimate vertical dual-lever paddle. 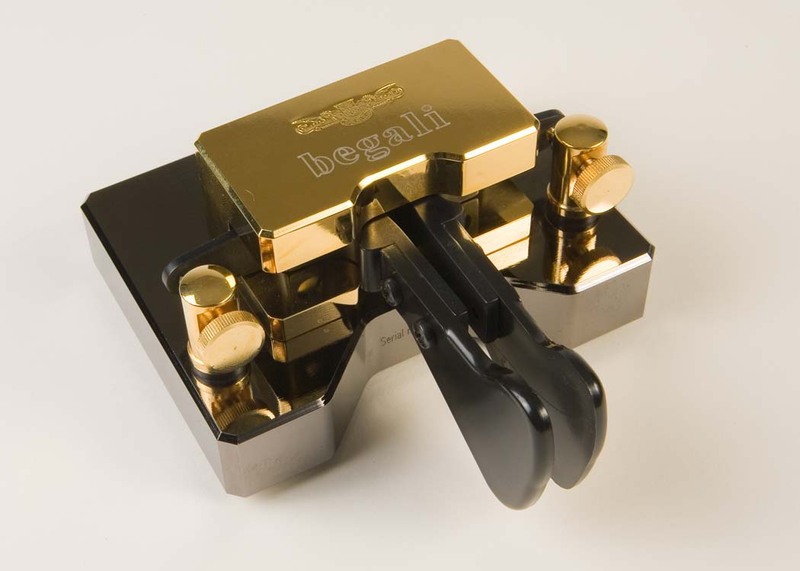 The feedback from CW experts around the world and the experience that Begali gained with other magnetic paddles has been combined into a revolutionary design of stunning beauty. 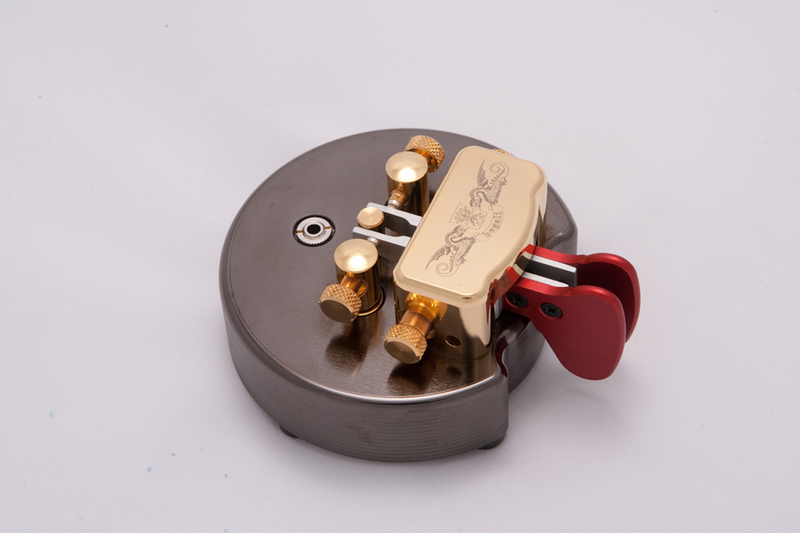 This spectacular key is more than just a beautiful CW instrument. 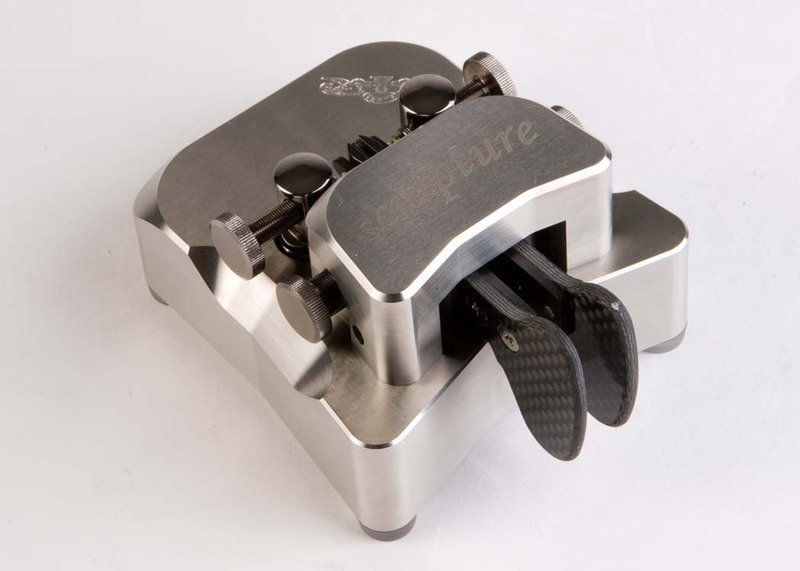 It uses an innovative approach to suspend the arms: not the usual pin and ball bearing construction that you find in our other keys and most other high-quality keys on the market, but specially made torsion blades. The Graciella Jr. paddle puts a vertical mechanism on a round base. 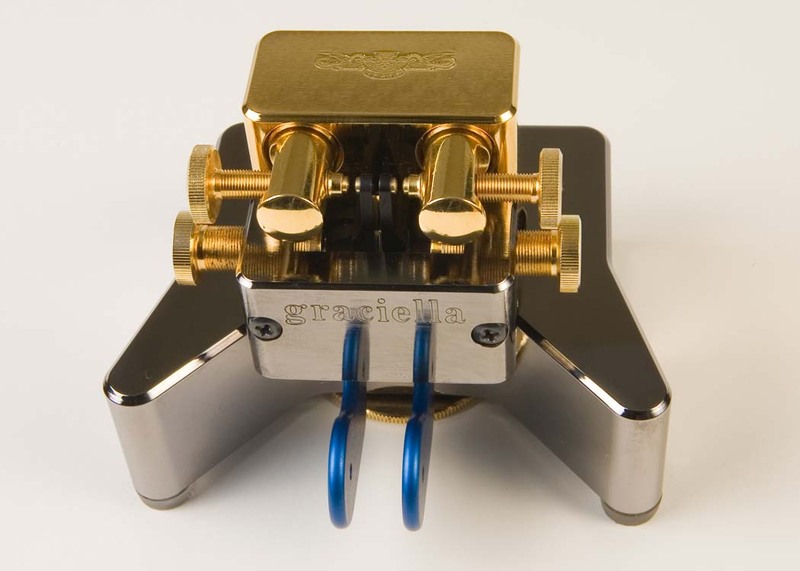 Unlike its older sister, the Graciella, the height of the mechanism is not adjustable. But beauty and mechanical perfection obviously runs in the family. The Pearl key combines gracefully rounded shapes and an exquisite finish with a high-performance mechanism. Precision adjustments and perfect weight distribution in the moving parts make sure that the beauty is not only skin deep - this key will not let you down at even the highest speeds. 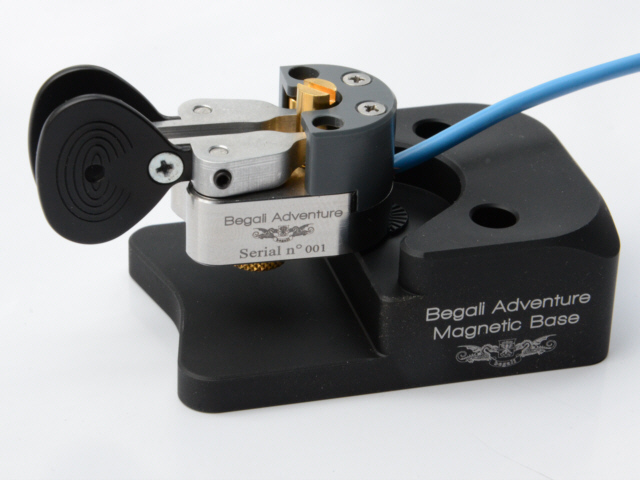 The Signature edition embodies the experience gained with the Magnetic Classic and the Magnetic Professional paddles, and it incorporates improvements that were suggested by users of Begali keys. 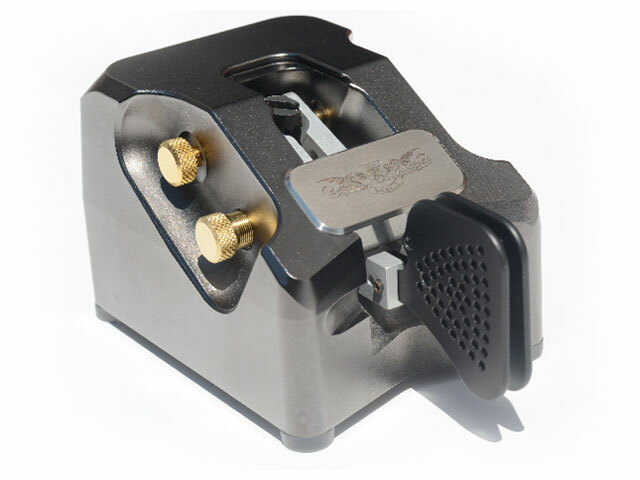 The Adventure Mono single-lever key, like its dual-lever sibling, the Adventure, was created to give you the finest possible keying experience with today’s portable radios. The Contour key combines gracefully rounded shapes, similar to the Pearl key, with a more traditional rectangular base, which makes it a little heavier and larger than the Pearl. 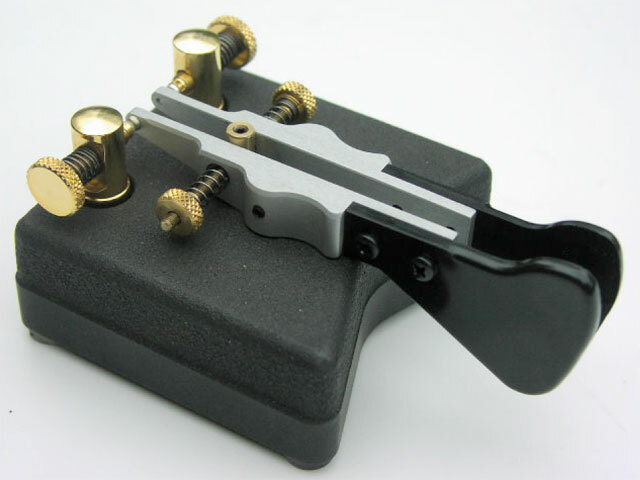 The Adventure dual-lever key, like its single-lever sibling, the Adventure Mono, was created to give you the finest possible keying experience with today’s portable radios. 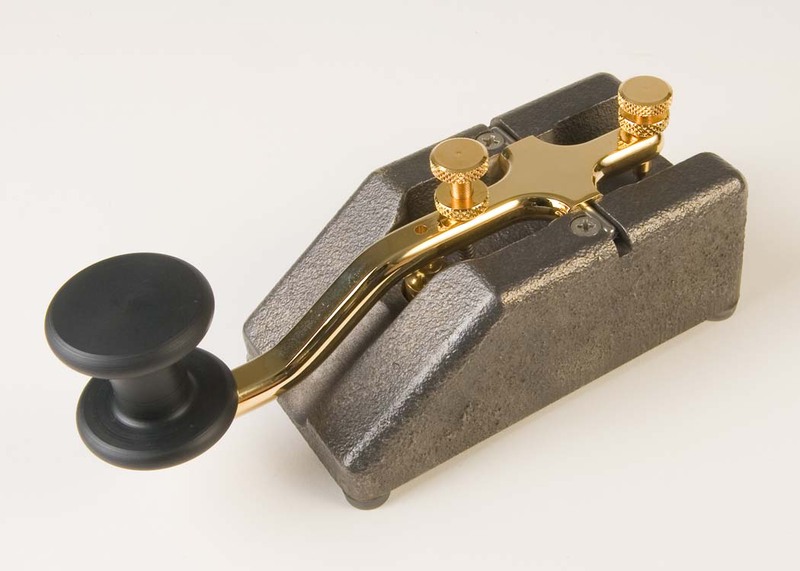 The HST Single Lever key was inspired by a design that several of the top competitors at the High Speed Telegraphy Competition in Pordenone (HST 2008) were using. Their keys were home made from simple materials, but they were capable of very high speeds in the right hands. The Expedition is a no-frills high-performance key. It is rugged enough, and not too expensive, to be tossed into the baggage for a DX expedition, and at 2.5 pounds it will not add too much weight - just enough to sit secure on your table, ready for the fun. The Magnetic Traveller Light is an iambic key that addresses the needs of the travelling or backpacking ham in a no-compromise design. It combines constructive elements found in the Simplex and Magnetic Classic in a rugged package that will survive the rigors of a roving life. 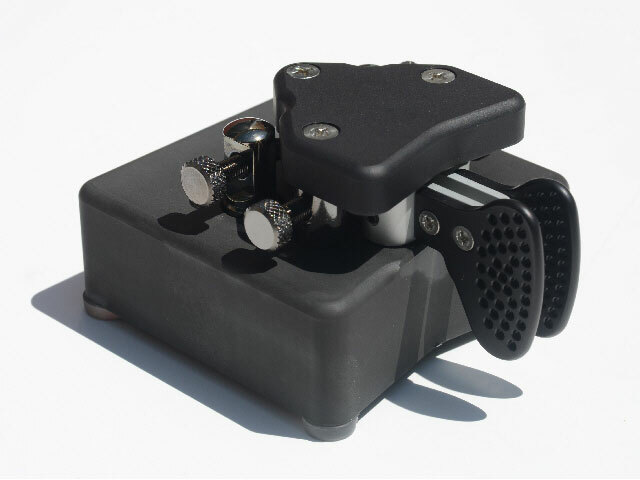 The Magnetic Professional is a variation of the Magnetic Classic paddle, and it has many of the same technical characteristics that have made the Magnetic Classic one of the best magnetic paddles that money can buy. The Blade is probably the ultimate straight key. 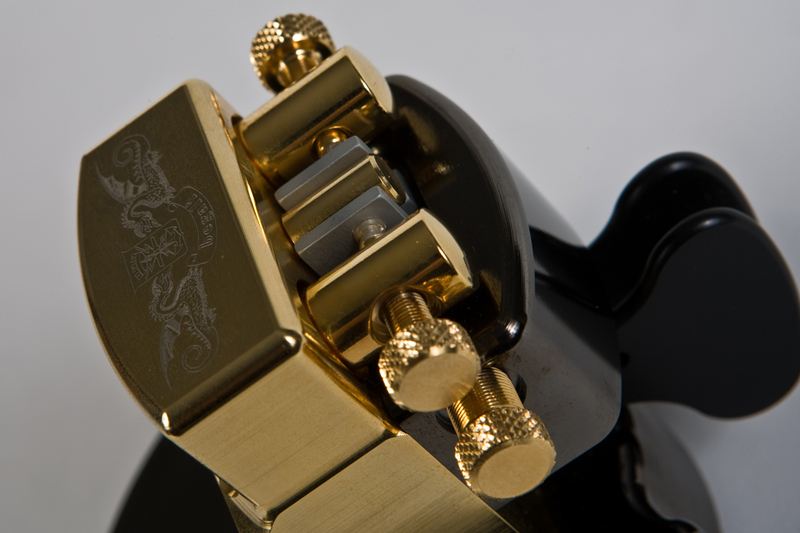 Based on a “Swedish Pump” design, which is renowned for effortless keying, the Blade key goes far beyond typical keys with this mechanism in finish and visual appearance. 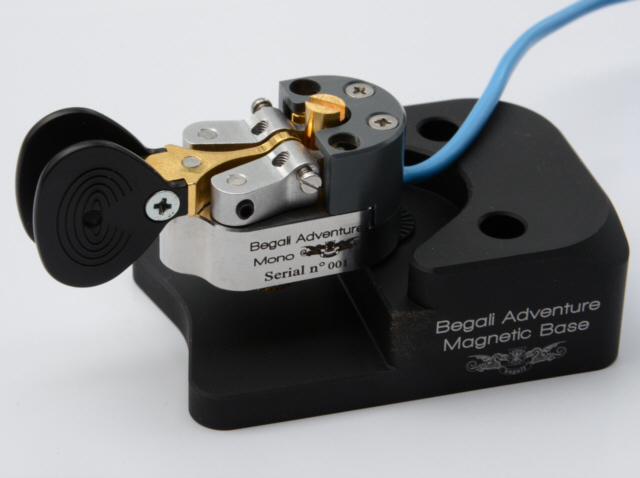 The Magnetic Classic, as the name implies, uses magnets for the return rather than the springs of other Begali iambic keys. The construction uses the same quality components found in the Simplex key, such as precision ball bearings and light-weight arms. 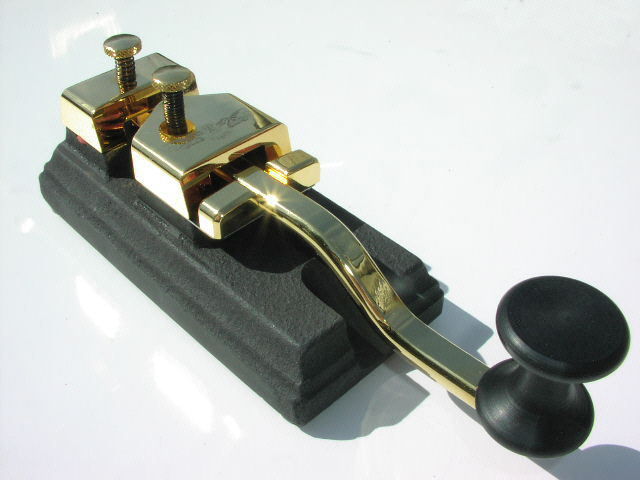 The Simplex Professional is a variation of our Simplex paddle, and it has the same technical characteristics that have made the Simplex very popular with operators of all skills. 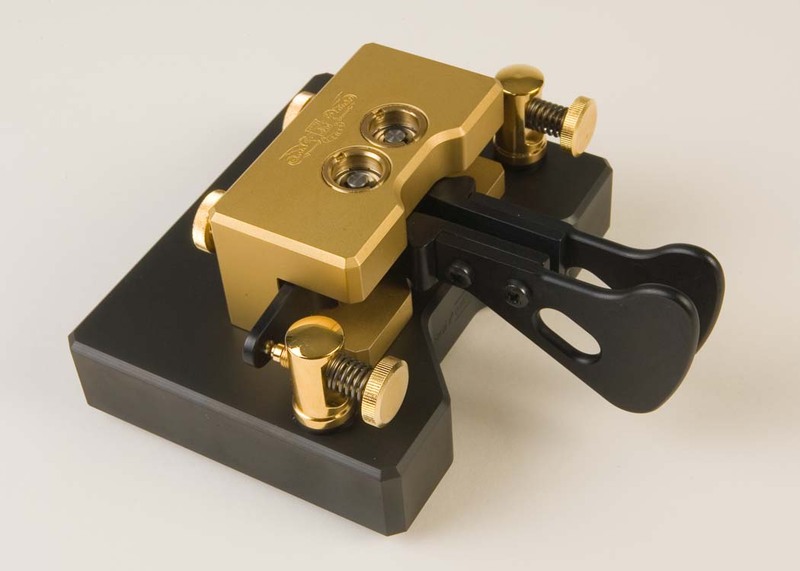 The Simplex Mono is a single lever key with a heavy (1.4 kg) gold or palladium plated base and gold plated components. This photo shows the palladium plated base. 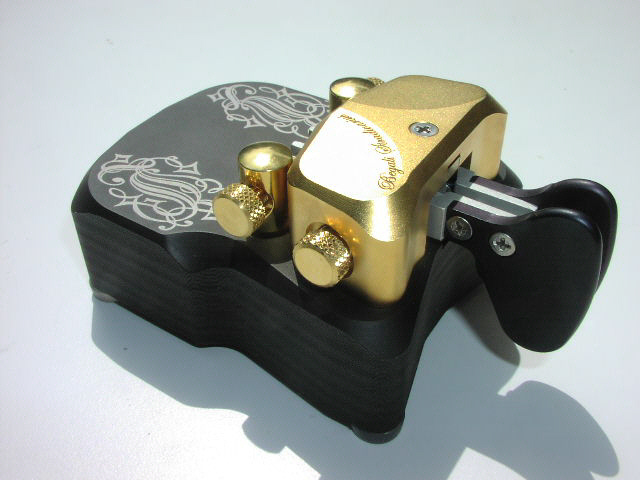 Like the other Begali keys it is manufactured using NC machinery for absolute precision. 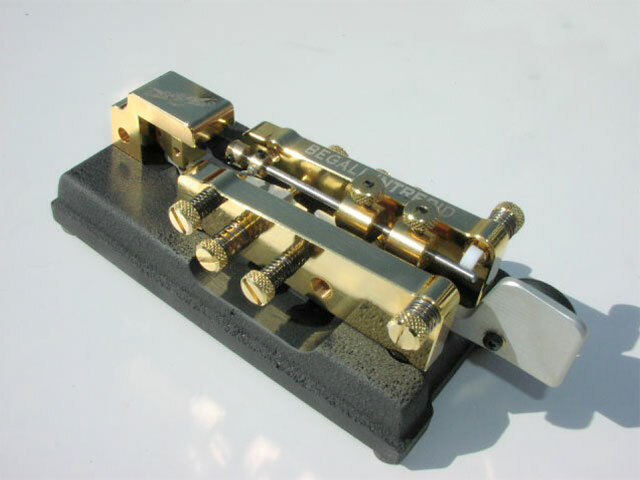 The Simplex is an iambic key with a heavy (1.4 kg) gold or palladium plated base and gold plated components, using long springs for the return force. 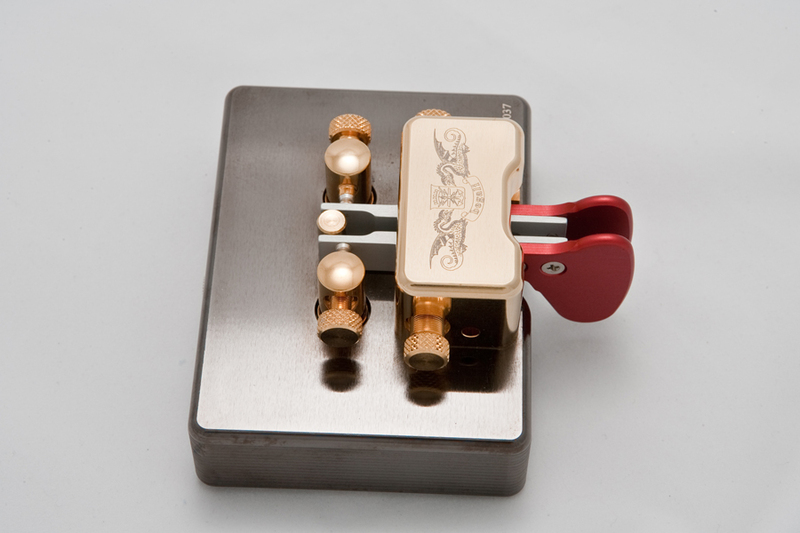 Like the other Begali keys it is manufactured using NC machinery for absolute precision. 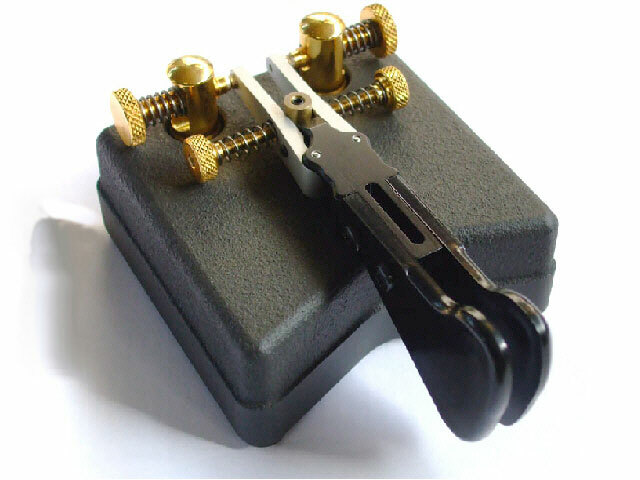 Micro-threaded screws are used for all adjustments. 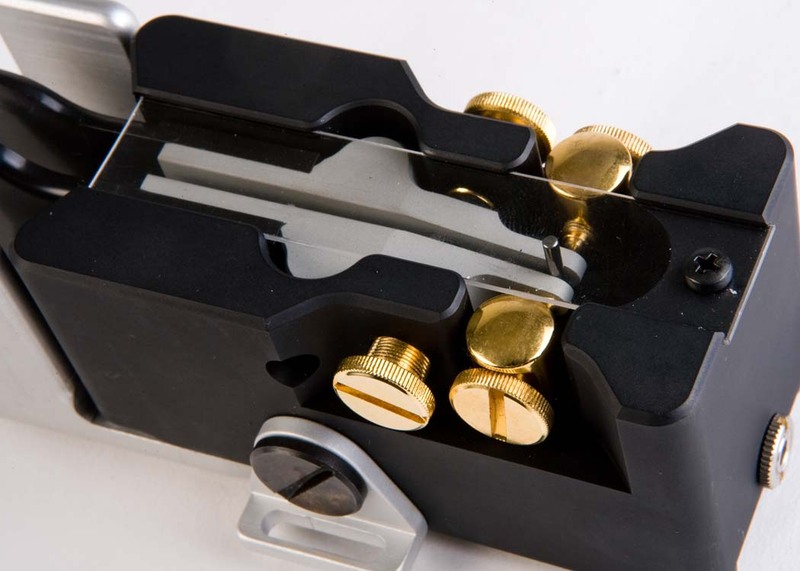 The Simplex Mono Basic is our least expensive single lever key, combining the base of the Simplex Basic with the mechanism of the Simplex Mono. 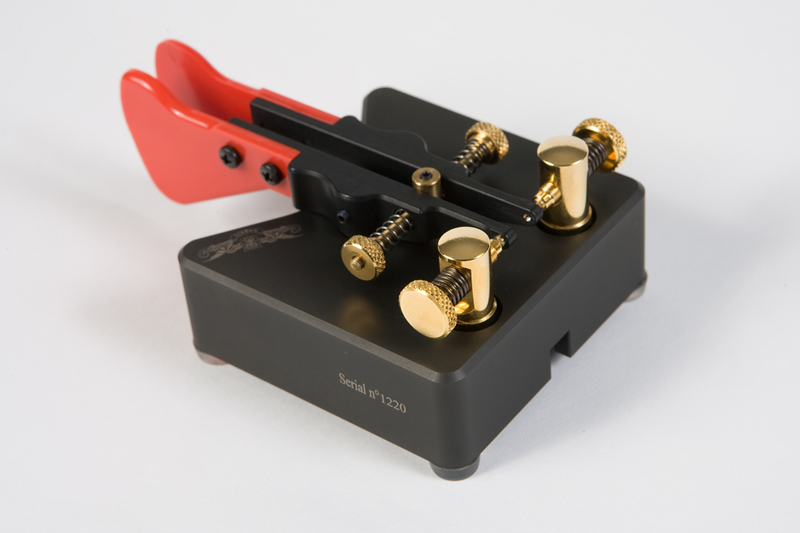 Despite its lower price it is a very capable CW instrument that can hold it's own against many far more expensive keys on the market. 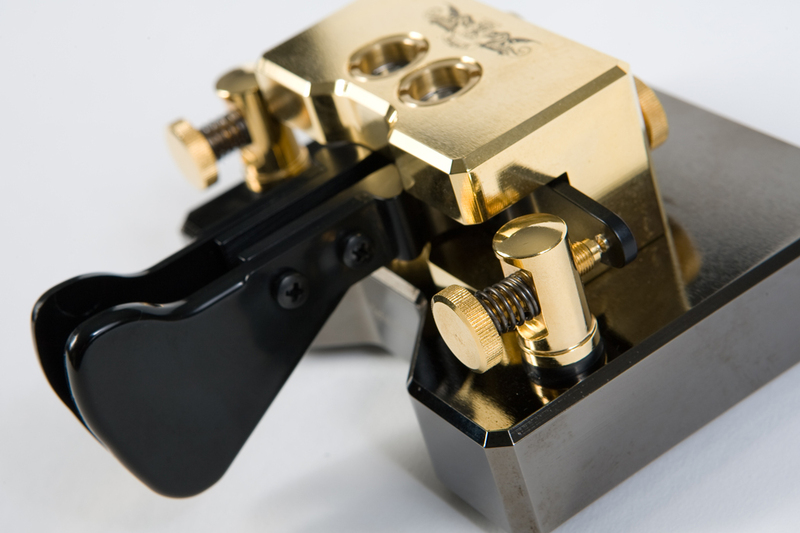 The Spark is a compact straight key with a heavy cast iron base. 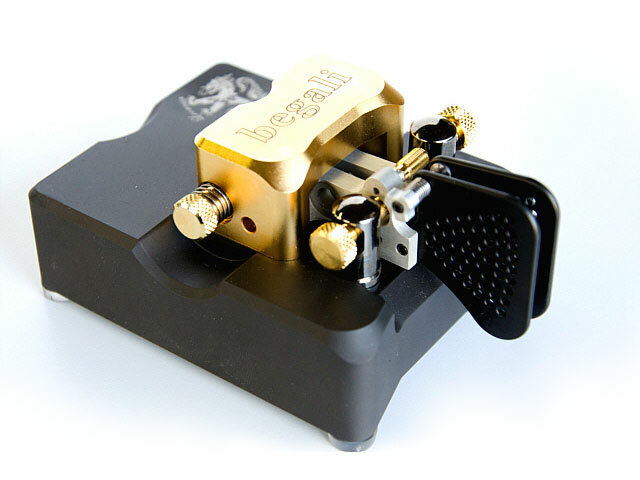 The base is available with a gold finish or a black-silver palladium finish, and all other components are gold plated. The Camelback shape for a straight key dates back more than 150 years. 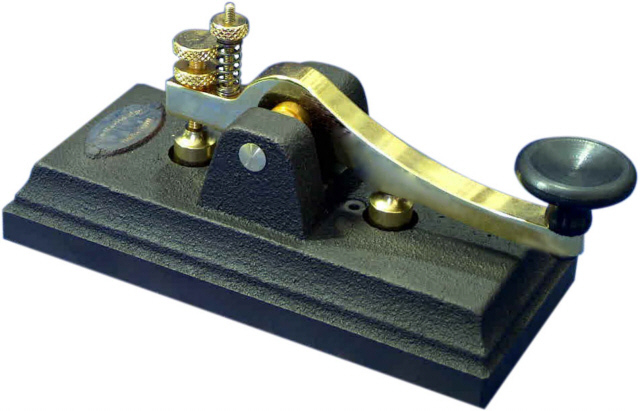 Charles Chubbock in 1848, Thomas Hall, and Chester Brothers in New York produced some of the earliest keys with the characteristic “hump”. 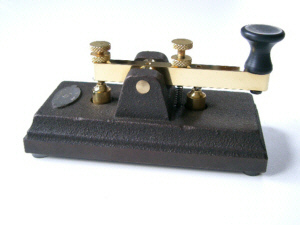 This key was created in commemoration of Gugliemo Marconi’s 125th birthday in 1999. It is the faithful replica of a Swiss postal key that can be seen gracing Albert Einstein’s work desk at the Patent Office in Zurich in this old photograph of 1901. 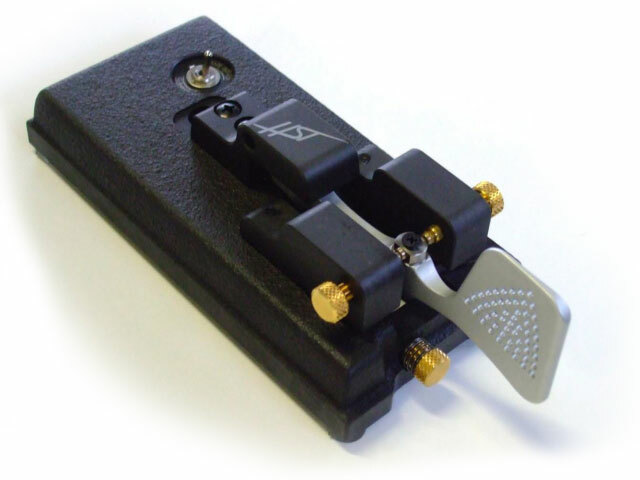 The Simplex Basic may be our least expensive key, but it is a very capable CW instrument that can hold its own against many far more expensive keys on the market. 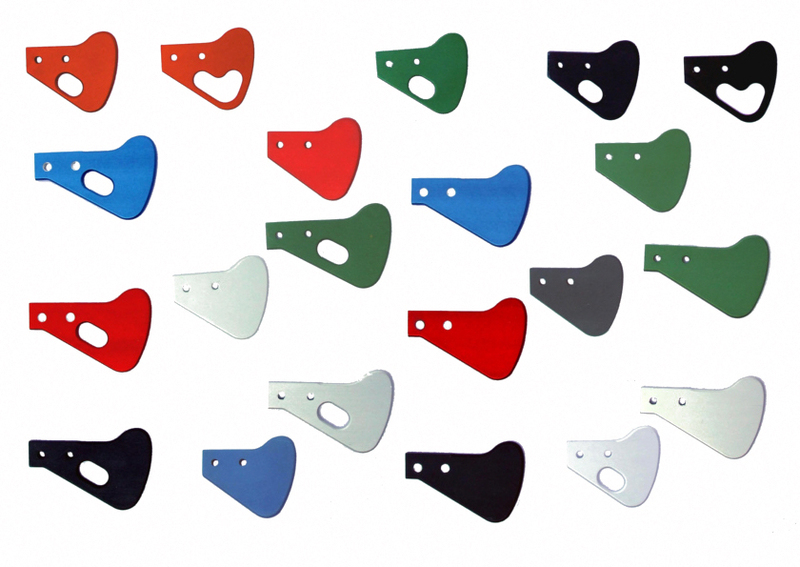 The aluminium finger pieces for several of the Begali keys come in various shapes and colours. You should specify the length, the colour, and whether they should have a cutout on your PayPal submission form when you order them.